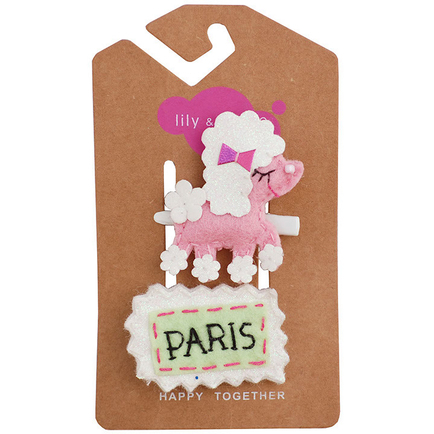 Paris poodle adds fashion flair to any outfit. Mint and soft pink alligator hair clips. Poodle: 2" tall * 1.75" wide. Paris logo: 1.25" tall * 2" wide.